The beautiful island of Sicily is much more than just another Italian region. The rich heritage and culture of the island is unique, and the landscapes diverse, making property for sale in Sicily highly desirable. Perhaps best known for its coastal tourist resorts, Sicily has a largely undiscovered heart full of character, history and breathtaking beauty. Sicily lies to the south of Italy, and a short distance from the African coast. Of course, this location provides a wonderfully warm climate, but has also resulted in a series of historical invasions, with each conquering race leaving their mark in both the architecture and the culture of the island. Today property for sale in Sicily can be found on an island with a unique character, drawing inspiration from the Mediterranean way of life with a blend of the Arabic and African. Property in Sicily can be found throughout the island, and in many diverse locations. Taormina is one of the best examples on Sicily of a true beach resort. The extensive facilities and spectacular beaches ensure that it remains one of Sicily’s best and most popular tourist spots, and is therefore one of the best locations of property for sale in Sicily for holiday lets. In complete contrast, the hilltop town of Enna is located at the heart of the island and largely untouched by mass tourism. The town boasts spectacular views over the Dittiano Valley, with vast rural landscapes and dramatic rocky outcrops. Here, perhaps more than anywhere else, the true traditional Sicilian way of live can be experienced. 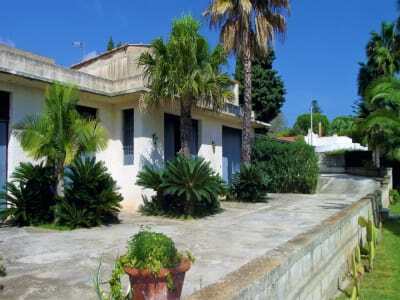 Property for sale in Sicily can also be found in and around Palermo, the regional capital. Palermo is a busy and bustling city, packed with modern facilities such as shopping malls, restaurants and cinemas, as well as museums, art galleries and theatres, all blended with great Baroque churches, Norman cathedrals and spectacular palaces. With such a rich history, property for sale in Sicily is often located near a historic building or important site. Perhaps one of the best examples of this is Siracusa (Syracuse), an important ancient Greek town and once home of Archimedes. Among the many historic attractions are the ancient Greek theatre, which shows traditional plays and dramas periodically, the archaeological park, and the vast maze of catacombs that run under the town. 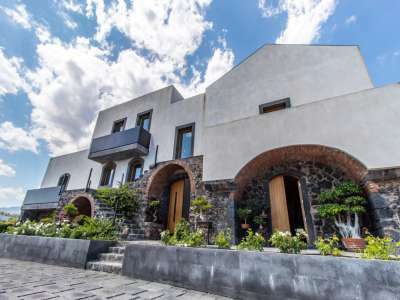 Property for sale in Sicily is not just about owning a beautiful home or investment in the sun, but also about owing a little piece of the Sicilian way of life. All property for sale in Sicily is within easy reach of both historic towns and the countryside. The rural landscapes of Sicily are characterised by vineyards and olive groves growing in the fertile soil, but further inland the verdant plains give way to vast forests, lakes, and dramatic sun-drenched scenery dotted with rocky cliffs and hillside villages in which to buy property for sale in Sicily. Sicily is also home to several nature parks, perhaps most famous the unspoilt countryside around the base of the dramatic snow-capped peaks of Mount Etna. Of course, property for sale in Sicily is also never far from one of the islands famous beaches. Sicily has some dramatic and beautiful seascapes, with sheltered bays and coves surrounded by high cliff walls, but most popular are the beaches near the resorts and those near Palermo, which are typically wide beaches with fine sand, lapped gently by the sparkling ocean. Though these beaches typically offer the best beachside facilities and access to watersports, the far south of the island is popular with surfers and windsurfers due to the higher winds and currents around the rocky peninsulas jutting into the sea. The Sicilian way of life is not just centred around the natural beauty of the island, but also its rich cultural influences. As well as a great number of traditional festivals with various origins held throughout the year, there are also markets held in almost every reasonably sized town. Many of these are farmers markets and are a great opportunity to try some local produce, as well as hinting at the importance of food in the Sicilian culture. 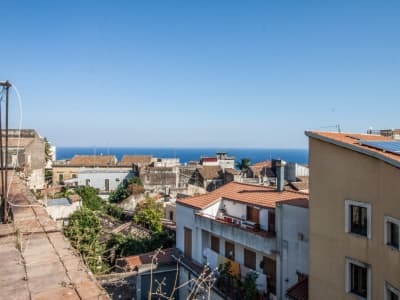 Property for sale in Sicily is never far from a wide selection of eateries serving fresh local produce, ranging from superb and acclaimed restaurants to small local brassieres, yet undiscovered by tourists, and, of course, the famed pasticceries selling the traditional local pastries. There are a great many local dishes originating in Sicily, with seafood being a particular speciality around the coastal areas, and, of course, Marsala wine. Sicily is easily reached from Italy via short flights, ferry, or train. Sicily also has two airports, Catania in the west, and Palermo in the east. An excellent bus service runs from both airports to a variety of destinations on the island. Property for sale in Sicily is much more than a warm and sun drenched tourist location. The island has a rich and unique heritage, as well as some truly spectacular scenery. The island has many faces, ranging from the traditional and beautiful interior, to the lively seaside towns of the coast. 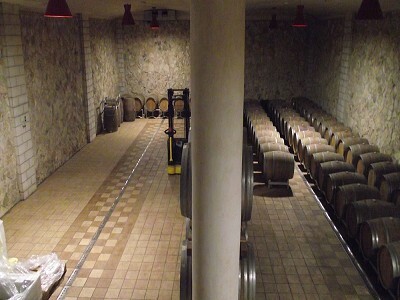 Property for sale in Sicily truly has something to suit every taste and need.